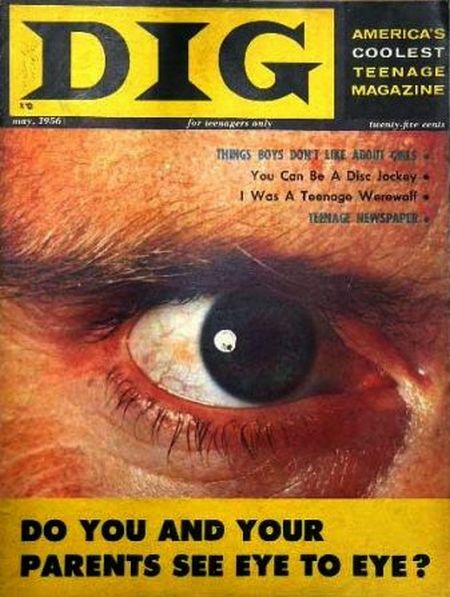 It is with great pleasure that we are able to present three issues of DIG magazine, from November 1956, April 1957 and May 1958 respectively. 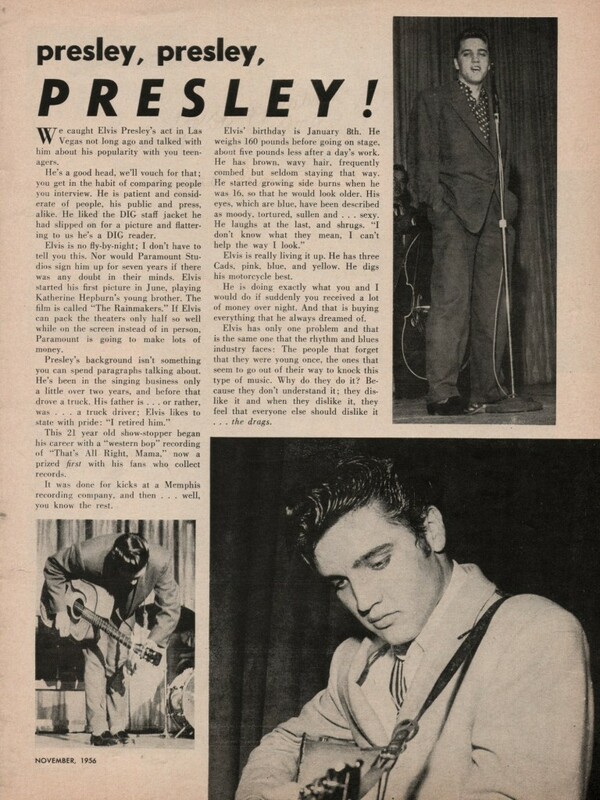 Two of which have Presley on the cover while the third one has James Dean, and all three feature cool articles on Elvis. 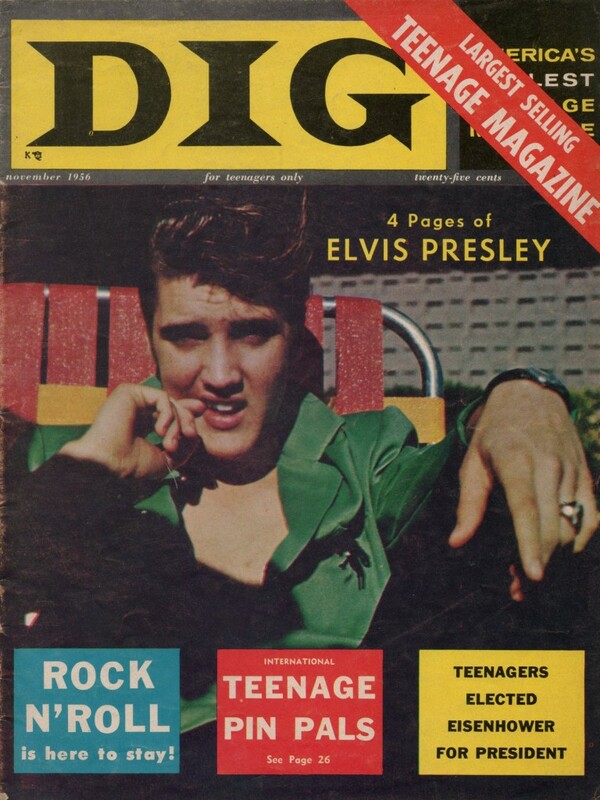 DIG magazine (April ’57) can be found HERE! 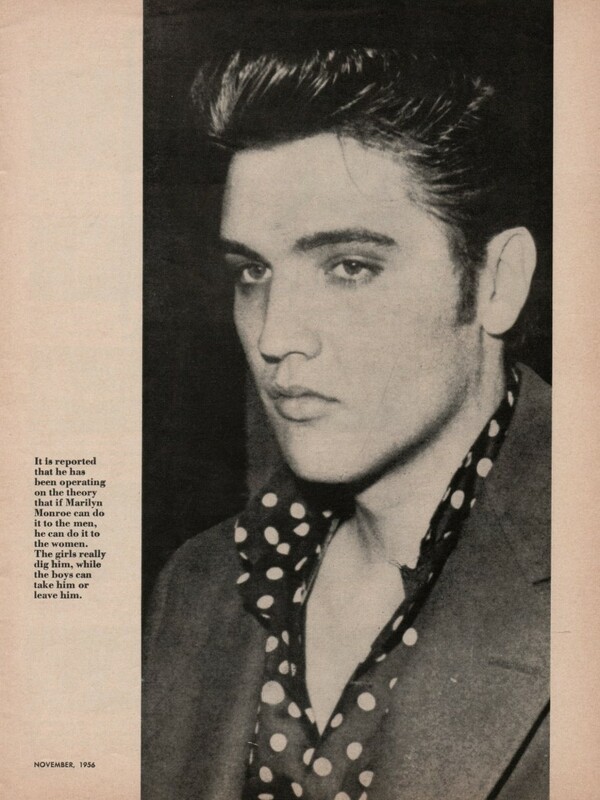 And DIG magazine (May ’58) can be found HERE! 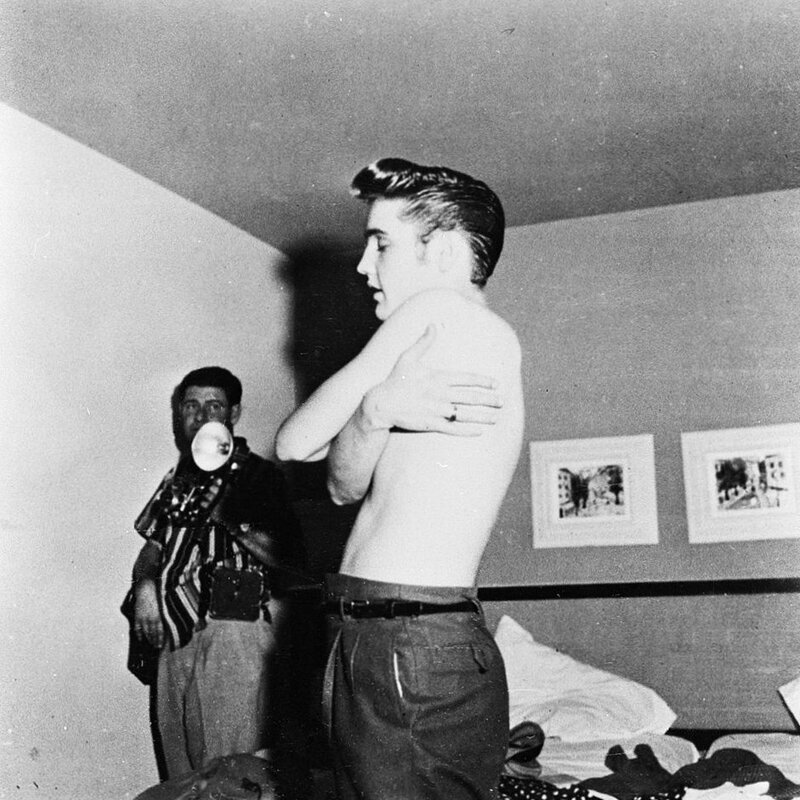 in the summer of ’56, filming Love Me Tender. 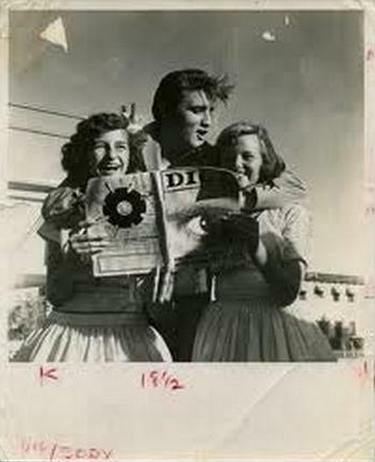 The DIG ladies pose with The Memphis Flash who is holding up issue nr. 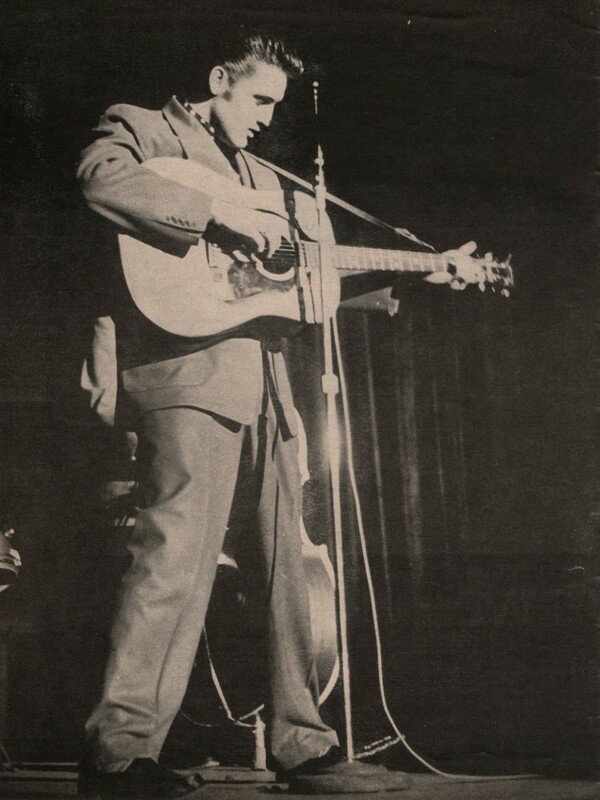 1 (from May 1956). 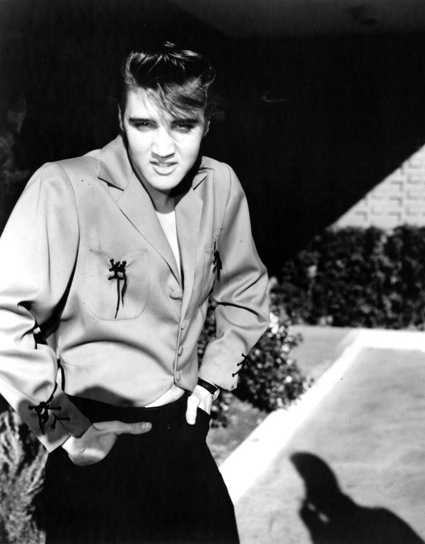 And as an extra little bonus, we add some pics of Elvis wearing the DIG jacket. 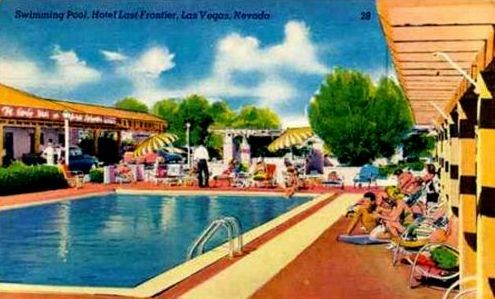 Plus some nice shots of the same day (as the frontcover) at the pool of the New Frontier hotel in Vegas. 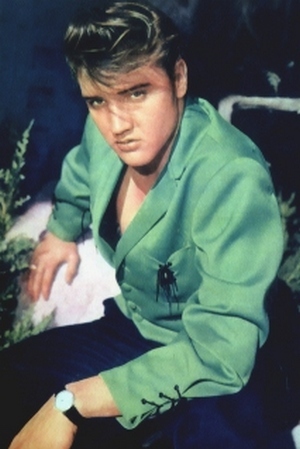 The color image on the left was used in the series presented by the Moss Company for photo sales in shops, while EPE sent out the slightly different black and white version for promotional purposes in magazines. AWESOME!! 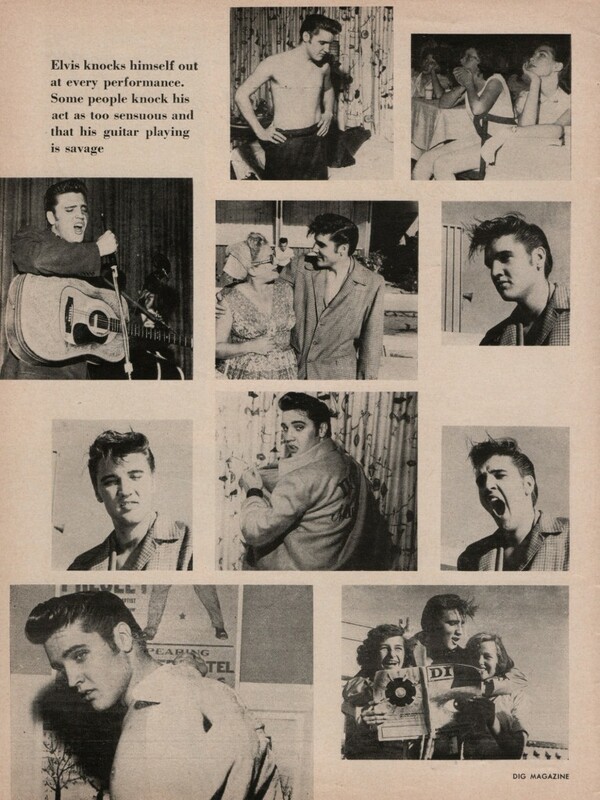 I Love to see inside old magazines. Thanks! 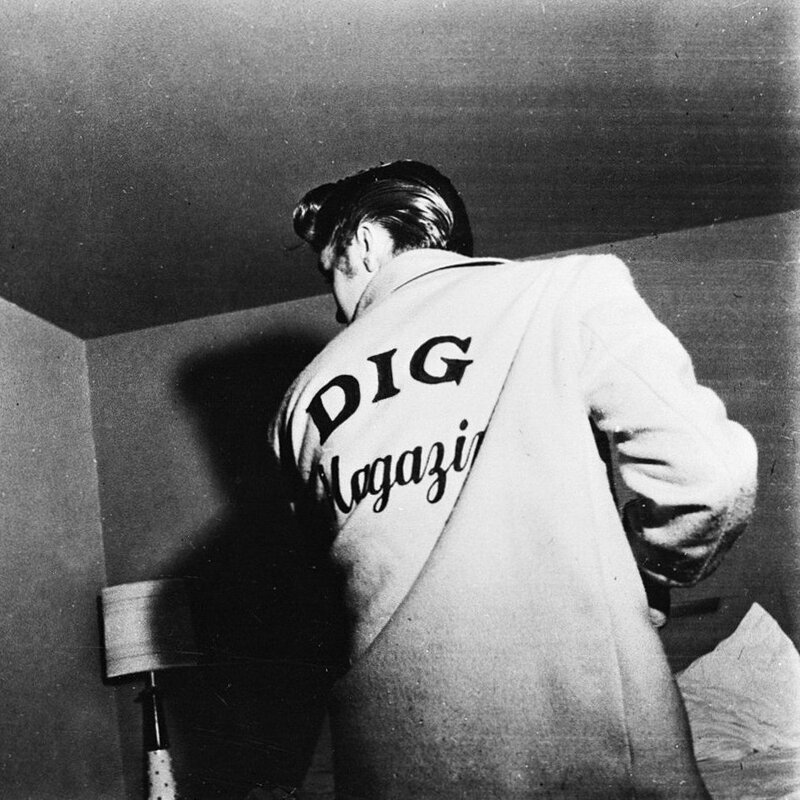 Fantastic feature on Elvis and Dig ! 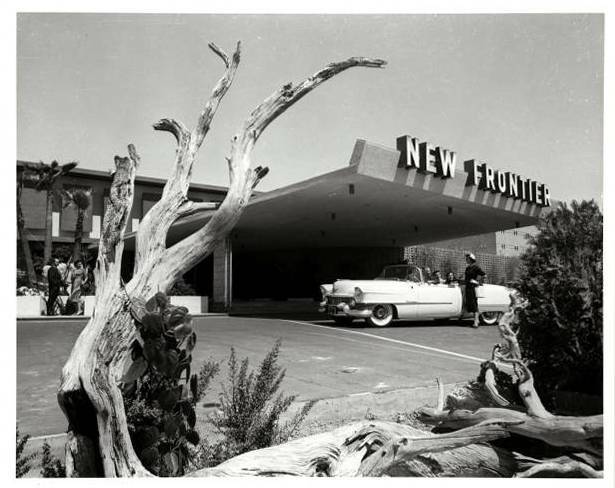 Can´t get enough of these ´56 images. 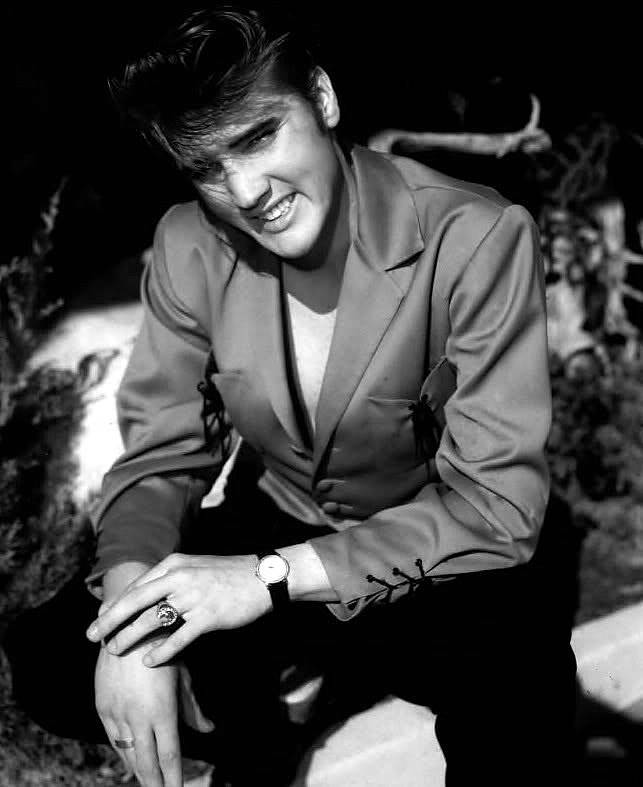 They exude rock and roll in every pixel ! 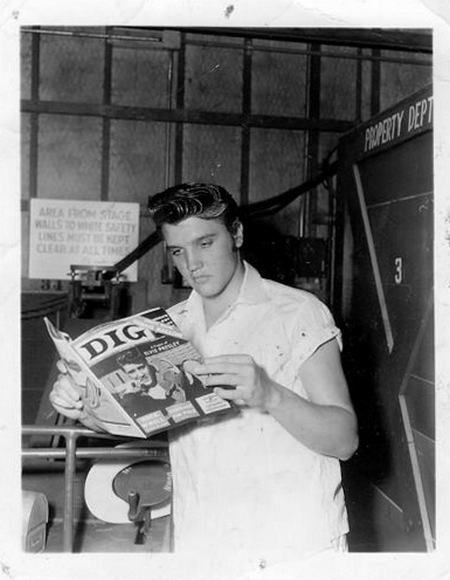 Hey, the first image where Elvis is reading the mag surely belongs in The Twilight Zone. 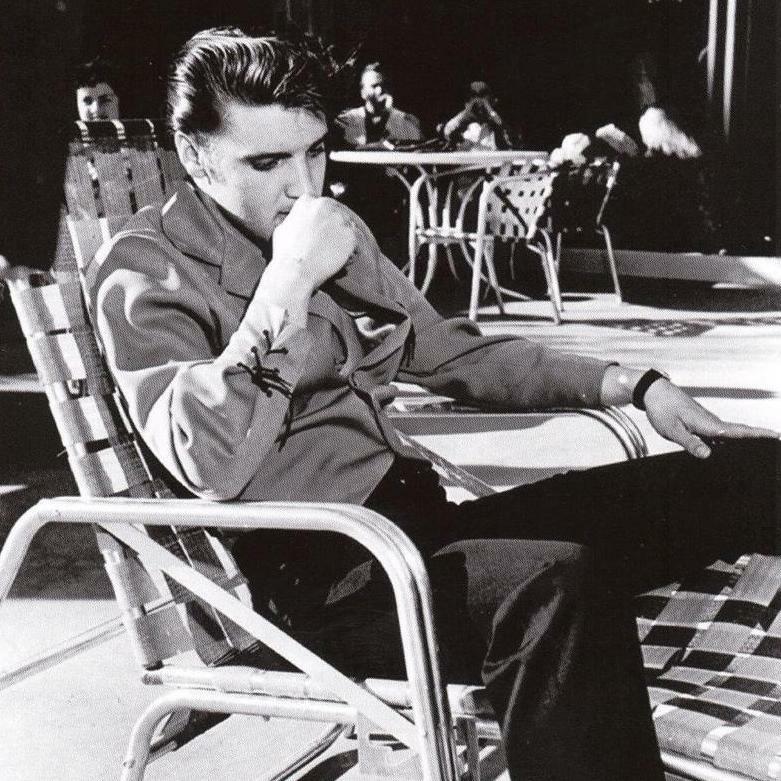 The pic comes from the filming of “Love Me Tender”, yet he´s already reading a November mag. Did he have a preview copy? Thanks for your classy work, Ger and Bob ! Thanks for your classy comment, Josep. 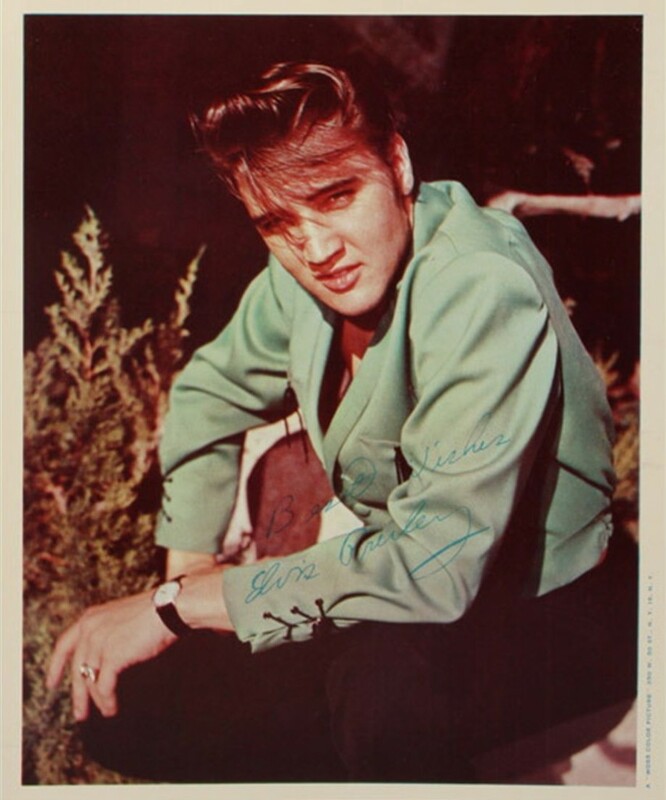 I’ve just recently acquired a mint copy if this beautiful original mag – yipee! It’s one of my fav covers of vintage mags. 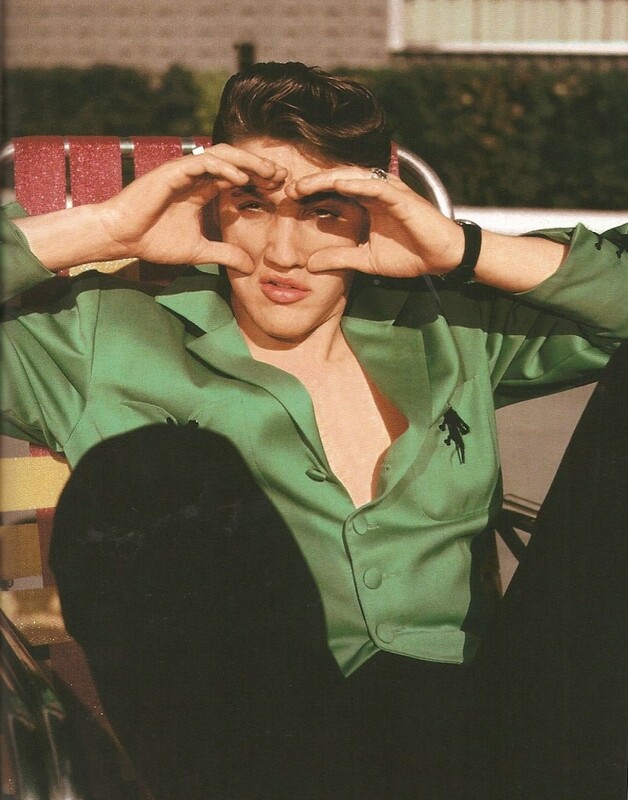 For any interested parties I am selling Siloam ELvis magazine from 1956-1960. Some great items that are all in near mint shape. 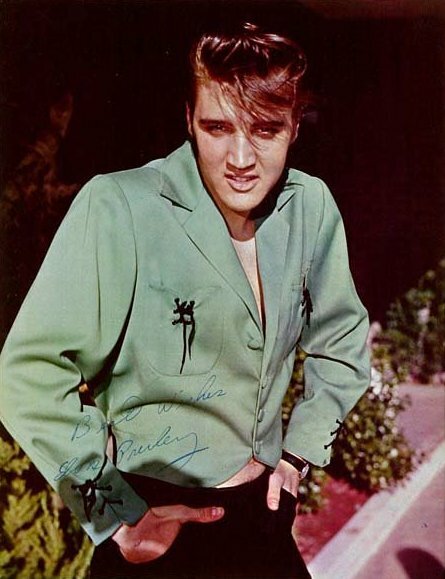 Many of them from 1956 and when Elvis was inducted and discharged from the Army. Email for more info and pics. Thanks. Great article and photos!! Does anyone know,..or was it ever reported what color the DIG staff-jacket was? It appears to be possibly light tan from the Black&whites,.. of course, hard to tell? Thank you Mr. Rijff.